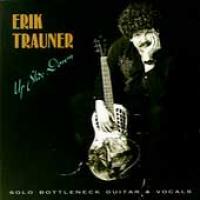 View Cart “Erik Trauner – Up Slide Down – Solo Bottleneck Guitar & Vocals” has been added to your cart. 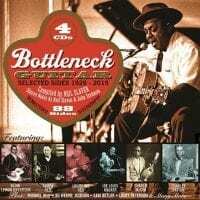 Slide guitar is associated with major Blues artists, such as Robert Johnson, Booker White, Elmore James and Leadbelly. Here are those greats with some lesser well-known – but not lesser talents. 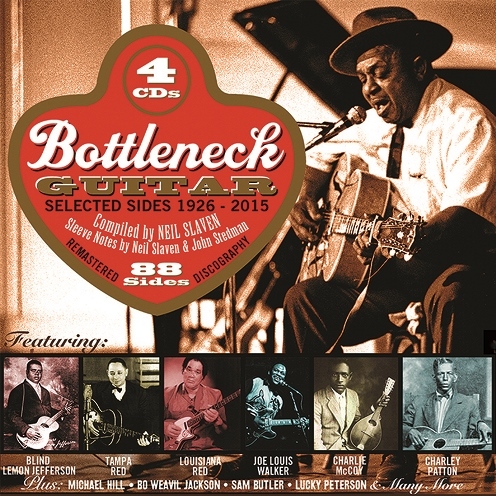 Featuring: Blind Lemon Jefferson, Tampa Red, Louisiana Red, Joe Louis Walker, Charlie McCoy, Charley Patton, Michael Hill, Bo Weavil Jackson, Sam Butler, Lucky Peterson and many more. Like so much of blues history, the origins of slide guitar are lost in the mists of time swirling and obscuring any possible documentation. Some suggest that the popularity of Hawaiian music in the 1910s was an influence, but as I noted a while ago, if you were growing up in a clapboard shack in the Mississippi Delta in 1900 or thereabouts, Hawaiians didn’t walk past your door every day. The classic reference is to W.C. Handy’s 1903 encounter with a musician sliding a knife over the strings of his guitar, proving that the technique preceded the arrival of the Hawaiian style by at least a decade. When Handy made his discovery, the guitar was gaining in popularity over the banjo and violin which until then had been the favoured instruments of country musicians. Slide guitar became the natural consequence of using the technique learned on the diddley bow, keeping a rhythmic pulse on the bass strings with the thumb while using a bottle or a knife to slide over the treble strings. As this collection illustrates, slide guitarists encompassed a whole gamut of techniques, some content to play standard rhythm and counterpoint, while others developed more complex styles combining finger-picked patterns with dazzling slide filigree. The first musician to play slide on record was Sylvester Weaver, who cut ‘Guitar Rag’ in October 1923. Western Swing guitarist Leon McAuliffe adapted the tune, calling it ‘Steel Guitar Rag’ while neglecting to acknowledge Weaver’s original composition. Three years after Weaver’s recording, Blind Lemon Jefferson made his own contribution, ‘Jack O’Diamond Blues’, his slide closely following his vocal, sometimes ending the vocal line on its own. It took a while before blues enthusiasts became aware of the interaction between black and white musicians. Frank Hutchison learned to play slide guitar from the black Bill Hunt and ‘Worried Blues’ showed how thoroughly he’d taken to it. His contemporary Riley Puckett, one of Gid Tanner’s Skillet-Lickers, recorded ‘A Darkey’s Wail’ in Atlanta, and it’s thought the musician he refers to is Blind Willie McTell. How do you avoid Robert Johnson? Now that the adulation has died down and so-called experts need to reassess their judgement, it’s become time to denigrate his status. But one listen to ‘Traveling Riverside Blues (here in its first take) confirms his unique position as the conduit through which pre-war blues made its transition to post-war influence. Most labels can offer either ‘vintage’ recordings or contemporary material. Here we have the opportunity to do both on one set. The newer material here on disc 4 both stands alongside the vintage tracks and also moves things along stylistically as it should. I have always believed that modern blues must reflect the time that it’s recorded but also that certain fundamental rules apply to how ‘real music’ should be recorded. So the Blues didn’t die, hasn’t died, has some really top class modern practitioners and we can enjoy the great classics as one discs 1 to 3 and the recent and modern classics as on Disc 4 here.